Note: 11 rounds with 10 rounds counting to your overall championship points ie drop your worst round . NO RESTARTS - Once the lights have gone out its Real !! 1. Causing a collision with no redress at time index 1.40 - Jake, 30 seconds added to race time. 2. Causing a collision with redress at time index 10.00 - Bdog, 15 seconds added to race time. Well good morning team i thought I’d jump in this morning and look at the numbers. 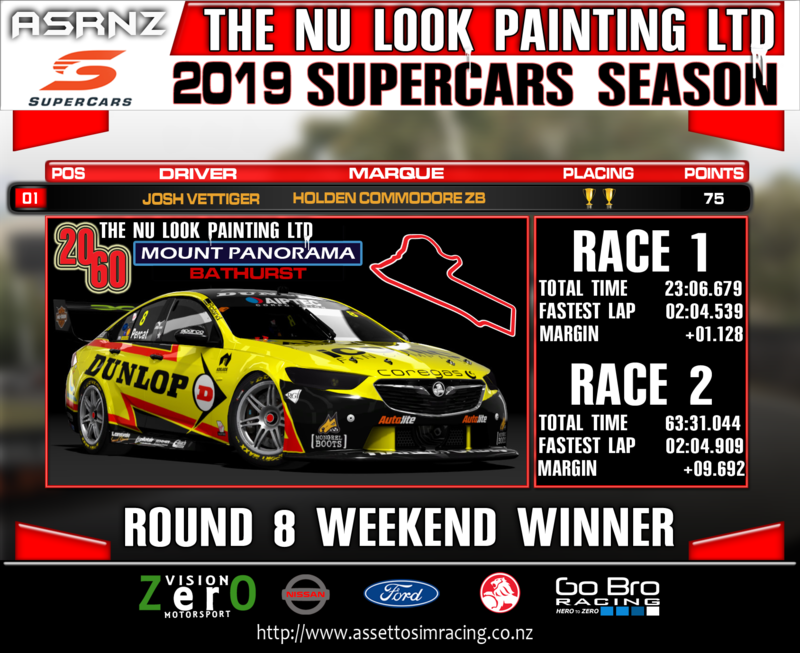 Tuesday night has now unofficially become the test n tune night leading into Thursday and Symmons plains will require no less effort than Bathurst a week ago. 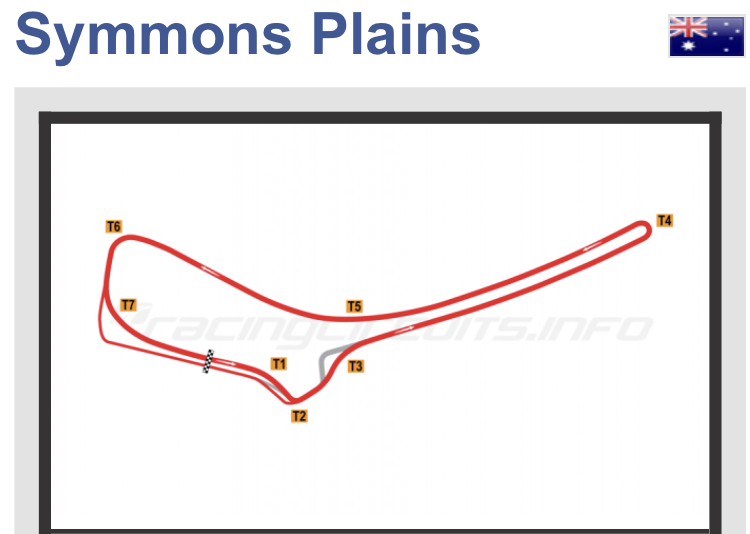 With seven turns ,2.4 kms and two of the hardest brake applications you’ll have to make this season .It is all done in abit over 50 odd seconds so it’s going to be critical to qualify well. The broadcast team will be watching anxiously during the pit stops this week as with a low 50’s lap time and around 30s pit lane including service time will make for some really close calls on the pit exit/turn 2 . Any way from davo and jandalman good luck we’ll be watching. Unsure if you where happy with the cameras that came with the track. So I made a quick set. depending how many camera files you have just rename it to the next camera in line i.e camera_5/6/7.ini etc. If you rule out the front two aliens. The entire field so far is ~0.85 seconds.